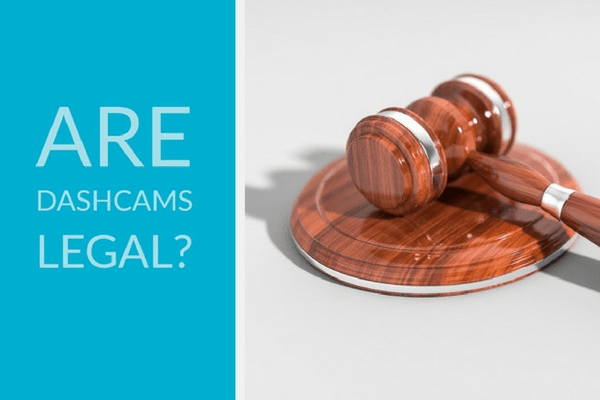 Are dashcams legal? One concern for new dashcam owners is whether or not they are allowed to use their device. 1) Are dashcams legal in my region? 2) What about dashcams that record audio? 3) How do obstruction laws affect dashcams? Are dashcams legal in my region? Dashcam legality varies around the world. Most countries consider roads to be public space, therefore, allowing drivers to record footage. For instance, in Canada and the US, law enforcers encourage drivers to use dashcams. While dashcams are legal in Canada and the US, some properties discourage dashcams. Border crosses are a good example. Some border guards lecture dashcam owners about their dashcam’s security risk. Even though there is no official confirmation of a dashcam ban, many drivers decided to turn off their cameras at border crossings to avoid the hassle. What about other countries? There are a few places where dashcams are illegal. For example, in Austria and Luxembourg, drivers can get fined for using dashcams. What about dashcams that record audio? Are dashcams legal if they record audio? After all, eavesdropping is illegal in many states. This causes gray area for dashcam owners. Let’s take a look at an example. Let’s say a home service business sends a dashcam-equipped vehicle to a customer’s home. The dashcam has a built-in mic. The mic picks up a conversation between the homeowners and saves the audio. This is technically eavesdropping! Firstly, dashcam owners tell other people about their dashcam’s built-in mic. This works similarly to event waiver forms, where participants understand and agree to being recorded. Secondly, some people buy cameras that can turn off audio recording. For example, ZenduCAM has an on/off switch for its built-in mic. How do obstruction laws affect dashcams? Another important legal consideration is view obstruction. In other words, it’s illegal for a driver to block their windshield with viewing obstacles. In certain states and provinces, people got tickets for objects like air fresheners and phone mounts. How can people avoid obstruction tickets for their dashcams? A tip is to get discreet cameras. For instance, ZenduCAMs are wired around the windshield and are installed behind the rearview mirror. As a result, the cameras are perfectly legal and do not block the driver’s view. Summary – Yes! Dashcams are legal in most places. Owners, however, need to beware of a few legal asterisks! Lifewire: Are Dash Cams Legal, Or Can They Get You in Trouble? Disclaimer: This article “Are Dashcams Legal?” does not substitute for legal advice from a professional.